Upending the status quo. That’s a given with new mobility. How do local and state governments work with manufacturers and product and service providers in helping the public both understand and become engaged in the promises of change? 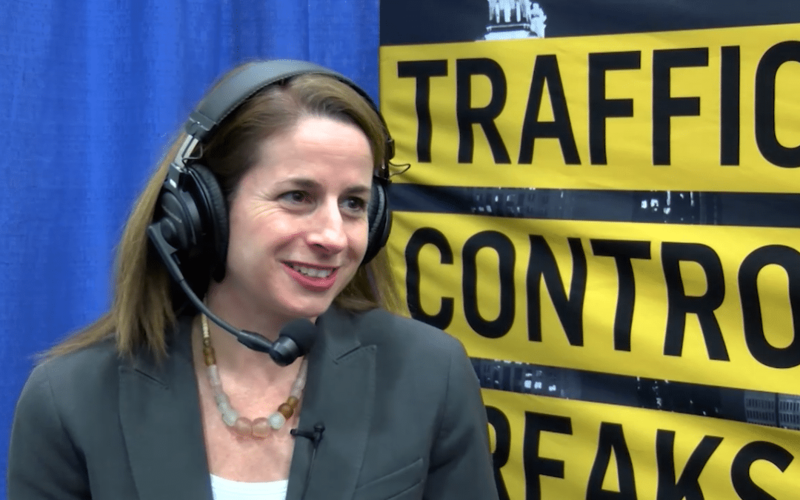 We spoke with Claudia Bilotto, WSP’s transportation and infrastructure area manager for the city of Atlanta at this year’s Transportation Research Board’s annual meeting in Washington, D.C. As an advisor to both government and private industry, she shares some of her best practices and ideas in this edition of POLICYSMART. 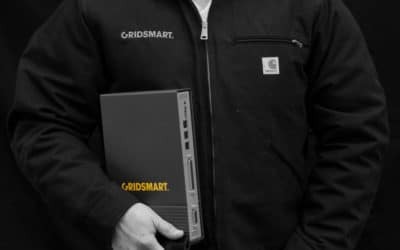 Regina: (00:06) From GRIDSMART Technologies. I’m Regina Hopper. Welcome to POLICYSMART. Regina: (00:19) Is it Bilottto? Claudia: (00:20) Yes. Very good. I’m impressed. Regina: (00:23) Well, sometimes the old news in me comes out and it’s like a guess, you know, 50/50 kind of thing. So we’re rolling. Oh, okay. Okay, good. Well, welcome to this edition of POLICYSMART. We’re here at the Transportation Research Board Annual Meeting, which means that everybody who’s really, really smart (laughter) is here, including um, Claudia Bilotto. She works in transportation and the management of really, like, public transportation system for WSP, right? Claudia: (00:52) Yes. Not just public transportation, but also DOT projects multimodal really. But, um, I have a background in planning and in engaging the public as part of transportation projects. Regina: (01:05) Now I want to, I really want to focus in on engaging the public because I think, you know, it as the technological, you know, wizbang stuff starts coming out. Not everybody thinks that that’s such a great idea. But before we get there, tell us a little bit about how you got here. How, why are you a woman in transportation? Regina: (02:05) So here you are. Claudia: (02:06) Yeah. Here I am. That really became sort of central to my career and my involvement with the transportation research board, but since then I’ve, you know, I’ve always stayed, um, on the consulting side, but I’ve always worked, um, in transportation, have always worked with public agencies to help them develop and implement projects. Regina: (02:26) Well. So let’s marry the two of those things together. Public agencies now are being almost bombarded, right? With the new technology, the new devices, data, privacy, cloud, I mean things that traditional transportation folks didn’t necessarily think that they were going to be seeing or be dealing with. So you have that one side of the equation. Then on the other side, you’ve got the public who sees autonomous vehicles and connected vehicles and Uber’s and lifts and scooters and all of these things now from a multimodal perspective that we’re trying to put together. So in dealing with new transportation and public engagement, what do you tell public officials about what they need to be doing so people understand what’s coming at them? Claudia: (03:15) Right. Well, I think, you know, first of all, it’s an education for all of us, right? Because it’s happening so quickly. And I hear this from my DOT clients as well, that, you know, things are moving so quickly that, you know, you almost can’t keep up. We all have to sort of recognize that, you know, what might happen in six months, you know, we don’t even have on the radar yet. So it’s really important to – I think when working with elected officials – approach things as a learning opportunity. We don’t have all of the answers yet either. There’s a lot of great resources and research at places like TRB to sort of watch things unfold. And I think I’m at a conference like this, we’re able to push the envelope on starting the discussions, you know, so for example, two years ago the public engagement committee tried to put together a session on public perceptions of automated and connected vehicles. But at that time there wasn’t much of a public conversation, right? Regina: (04:17) A little bit ahead of yourself. Claudia: (04:19) Yeah. But by, by getting ahead of ourselves, it starts the conversation, and we are able to find people, you know, in the private sector on the, um, on the, the market side of the technology. I remember we had someone from JD Power that, that came to speak. Um, we had people from communities where, you know, Uber and Google are testing their technologies come and speak. And we also were able to find, um, some agencies that are thinking about it from a planning perspective. You know, I think it’s on the technical staff first. Before you get to the policymaker, the technical staff has to think about what could this mean for my community so that they can help that elected official or policymaker, understand why it’s important. Um, and that’s where the conversation begins. And then it’s about understanding, you know, what are people’s concerns? What are people’s fears? I think with a market-driven technology like connected and automated vehicles and ride sharing mobility as a service – I mean it’s coming – the market wants it. And when the market is the driver, it’s a lot easier to have those discussions and thought about that in the public because, you know, there’s, you can either get prepared to have that conversation or you can kind of be left in the dust. So. Regina: (05:39) So what to public officials ask you when you go in, and they’re trying to figure out how to advance the policy within their own operations, but what are they most concerned about? What are their biggest fears? What, what, what are they hearing? Claudia: (05:53) I think that first of all, people are, officials are concerned about, you know, the impact it could have on the status quo. Right? So in particular, when you think about ride sharing and CV/AV you know, what, what does this mean for the parking industry? And you know, for these will you need parking lots anymore? Because you know, the rideshare vehicle can just drive around, and it’s a lot cheaper to do ride share than to pay $40 to park downtown. So they want to understand the impact that will have. You know, if for a lot of transportation planning policy discussions, we focus on how do we get people in alternative modes of transportation? How do we get them out of their cars? Well, here’s a technology where people, there’s a benefit to staying in their cars. So what does that mean for the roadway system? Is it can to be overrun with traffic? You know, how, how do we plan, what do we invest in for the future to be ready for this? And I think one thing that we’ve probably all seen at, um, you know, at big events where you’ve got a lot of rideshare pickup and drop-offs, like how do you position that so it doesn’t have a negative impact on the rest of the transportation system? And I think with policymakers, you know, they also want to understand any policy implications. There have been all of the conversations in communities about taxis versus Uber and Lyft. Are they subject to the same types of rules? I think people want to be equitable and have policies in place that are prepared for that. I think it even gets more complicated. I don’t know if this is going on in DC or not, but one of the big issues in Atlanta right now is, um, the scooters and bikes that have just dropped overnight. Claudia: (08:00) Right. And well, and it, it really, it literally did. But it does – I think people are finding – it, it fills a need for that last mile connectivity. They’re easy for people to use, but they’ve caused an issue for city policymakers because they’re left on the sidewalk, and then there’s the whole issue of motorized vehicles don’t really belong on the sidewalk. People are riding them without helmets, and it can create conflicts. However, clearly, there’s a market for it. And you know, now companies like Uber and Lyft are offering those scooters because they’ve found that, you know, it’s a lot cheaper for somebody to take a scooter for that last mile than to take an Uber trip, and they don’t want to lose out on that opportunity. So I know where I’m from in Atlanta, there was recently legislation that was presented where they’re trying to at least get some type of control around where the scooters can be ridden, where they can be left. But it’s a real challenge, and that’s one that I think really hits home with the public because it happened so quickly and there was no time to prepare. Um, I think with connected and automated, now a lot of communities are doing pilot projects that helps give policymakers the opportunity to see, see potential impacts and for the public to see what those technologies could mean for their communities. And I think what’s always the most important to local elected officials is they need to be able to answer questions when they get them from the public. Regina: (09:34) Because they will in a mayor’s office or at the local level, the up people will come out. So in Atlanta, tell me, in Atlanta, how is that working? Because I, I don’t see them a lot here in DC. I don’t know. Crystal who works on our show, she may know cause she’s of that – I don’t see myself on a scooter by the way. I might just stop. I’m a little bit worried. Claudia: (09:54) I love it in concept, but I, it’s all me. I mean I’m just afraid I would crash. Regina: (10:00) Yeah. Yeah. I’m, I’m scared of, I’m scared of the same thing. But, so what you saw was with regard to this brand new form of technology that the city had to adapt pretty quickly. I remember the same thing happening with Uber, and I don’t want to misstate Uber’s public policy objectives. So I’m gonna kind of, so, Uber, I’m not trying to put words in your mouth, but it did seem like that they would go into communities and allow the communities to react to the service before they, instead of the other way around, which is what we’re all used to in public policy. Claudia: (10:28) Right. And it’s an interesting tactic when you think about it because, you know, it allows them to truly test the market demand and public acceptance of this without having to sort of breakthrough first. Right. You know what I mean? They don’t really, they didn’t really break any rules because the rules didn’t exist. Claudia: (11:20) So I think, um, with automation and connectivity, you know, it’s interesting. I think there’s always going to be some fear of the unknown. And I think being in an automated vehicle without control does make people nervous. But I think that people do, I mean, you see the numbers, and it’s a fact that it’s safer than, you know, one of us driving a car. The technology is more reliable. I mean, even if there are going to be accidents, the, at least with the testing and data you’re seeing now, the statistics are still better than when you’re trusting a human. So I, some of that is beginning to dissipate. I think with seniors using those technologies, probably the proof is in the pudding a little bit more. Claudia: (12:03) But I think, you know, one thing that I hear a lot of talk of is Uber and Lyft and other rideshare companies moving into the accessible transportation area. Um, where, you know, paratransit and human services transportation have really struggled over the years because it’s, I mean, it’s from a market perspective is it’s hard to make money. And by having Uber and Lyft as an option, it, it really is going to open up mobility options for a lot of seniors and others who may not have great access to public transit. And as you get comfortable, I think with that rideshare technology and using apps and things like that, there’s sort of a more of a natural move. You have more of an opportunity to educate about how, um, an autonomous vehicle could provide that same service. Regina: (12:57) So, what do you think is, as we’re moving now into 2019 here at TRB, people are talking about, you know, you always kind of want to forecast at the beginning of the year. Where are we going? What do you think the issue of 2019 is going to be with regard to acceptability maybe? More so acceptability than deployment. I think. Claudia: (13:22) Wow, that’s hard because there are so many issues around a TRB. Uh, I think with acceptability there’s a real opportunity for the planning agencies, um, and transportation agencies to take advantage of resources that are available to demonstrate pilot projects. And the more that the general public sees, um, the better future acceptance. Regina: (13:49) Yeah. I know there’s a group in the car makers that have come together to try to – as automobile makers moving into the new era – to try to figure out how best to address this. Industry probably does have a lot of responsibility here, right? Claudia: (14:05) I think so. Um, I think that you know, this is something all of the agencies are talking about. So all of our clients are talking about it. Everybody knows that there’s different ways to engage: by trying out different technologies, being willing to do that, taking advantage of money that the federal government is making available to test technologies, redirecting funds from individual agencies to focus on these types of things, and testing it in different ways. You know you hear transit agencies talking about automated and connected. You hear, highway agencies talking about automated/connected. I mean there’s so many places that it’s applicable. Mobility as a service has provided a lot of different opportunities. It’s changing the way a lot of people travel in particular, you know, the younger generations. So I think by talking about the issue and in and making it an active part of the long-range planning process, which is, you know, a requirement for many of the agencies that are here. By acknowledging that it’s coming and looking for ways to slowly integrate when the big project implementations come, the public will understand the potential benefits. Regina: (15:24) You know, you’re talking about city, um, implementation. I guess Atlanta has done quite a bit of this, but how do you feel about the terminology of the smart city now? You know, there in the prior administration smart cities – especially with regard to DOT – it was a big thing. You know, Columbus, Ohio wins, the Smart Cities Challenge, and now you see, or it feels like you see less. 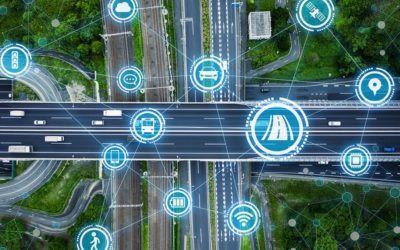 Is the, is the smart cities concept, this integration of the Internet of Things, where transportation kind of as a central hubs, is that still happening or are people moving away from that? Claudia: (15:55) I think it’s still happening. I mean, I think that the, the privacy discussion and the cybersecurity issue is a real concern. And you do hear more talk of cybersecurity in all circles including transportation because there is so much data everywhere. I think people want to be confident that the data about where, where they are and what they’re doing, you know, is safe. Um, and that that’s just another reality of the conversation. I think technology is such that the smart cities concept is going to continue to advance. I think it brings a lot of benefit to the efficient sort of day to day runnings of any community. But the cybersecurity issues are real. Actually just in talking about that, I mean, City of Atlanta fell victim to a cyber attack last year and their, their system was down for a couple days. I mean, before we’re a smart city, we got to be prepared and be able to react to situations like that. Regina: (17:06) How did Atlanta do in their reaction? Claudia: (17:08) Uh, I, you know, I don’t really know the inner workings, but I mean there were departments that it took months for them to recover. Regina: (17:15) Is that right? Claudia: (17:15) So, and I think the lesson is that you got to take that seriously. And I think a lot of agencies that haven’t yet taken advantage of a cloud type of system structure are starting to do that. But you know, that’s a, that’s a big job just getting the data into a safe, secure place before you even talk about, you know, what you’re going to use it for and how interconnected it can be. Regina: (17:37) Yeah. We’ve talked a lot here about data and security and privacy. Um, you know, people being able to, it seems like that the theory has been that you opt into privacy and it may be that we switch it on it’s head and you’re going to be opting out of privacy maybe in the future. So. Well, thank you so much for being here. Claudia: (17:56) Thank you for the opportunity. Regina: (17:56) I mean I you keep really busy. Claudia: (17:59) I do, I do. But you know TRB, I always joke about it being the big transportation nerd get together every year. (laughter) So I always learn a lot and get to see a lot of friends. So it’s, it’s always great, and it’s great that y’all are here to help spread the word about all the great things going on and transportation. Yeah. Regina: (18:19) Thanks so much for being here. I’m sure, I’m sure we’re going to want to catch up with you again soon. Claudia: (18:23) That’d be great. Regina: (18:24) Thanks so much. Regina: (18:27) So thanks so much for listening and participating in the POLICYSMART podcast. You can download the POLICYSMART app on the Apple App Store and GooglePlay. And you can listen to the podcast on Apple Podcast, GooglePlay and, now, on Spotify. And also please leave a review to help people like you, those interested in the next generation of mobility and intelligent transportation, find us.